Children’s disability claims are evaluated at a different standard than those of disabled adults. 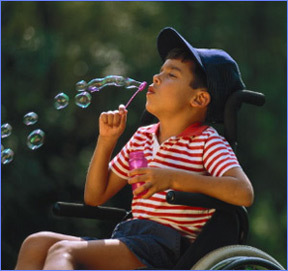 Children must have a physical or mental impairment that is “marked or severe.” The disability must very seriously limit his or her activities and the condition must have lasted or be expected to last a year or more or result in death. In order to determine if your child’s conditions meets a listing requirement, you can access the listings at Social Security’s website. Children’s disability claims are often complicated and require the expertise of an attorney competent in handling these specialized claims.